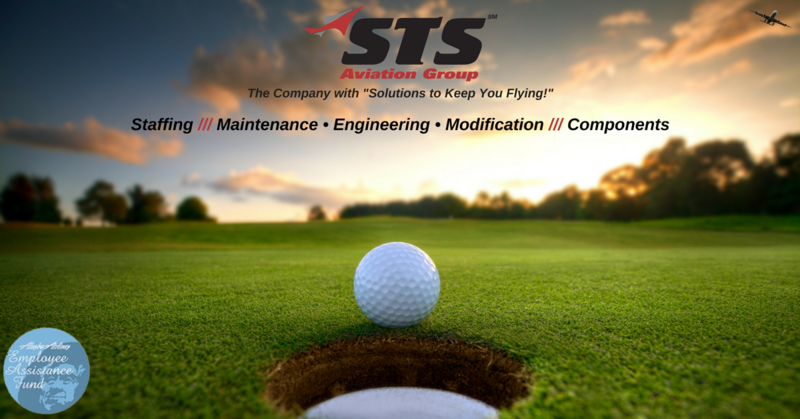 STS Aviation Group Sponsors the 2018 Alaska Airlines EAF Charity Golf Tournament! From July 20 – 21, STS Aviation Group will be heading west to Auburn, WA where the company is set to proudly sponsor the 2018 Alaska Airlines Employee Assistance Fund (EAF) Charity Golf Tournament. The Employee Assistance Fund was created in 1992 by Alaska Airlines Captain Al Brunelle. Captain Brunelle wanted to help his fellow employees who may be suffering financial hardship due to a medical or catastrophic event. The EAF is a separate non-profit organization made up of employees who volunteer to serve on the Board of Directors, representing all divisions of Alaska Airlines. The tournament, taking place at the Washington National Golf Course, has grown to become a two day event that includes receptions, a great dinner, silent and live auctions, and of course a fun day of golf! STS has attended this great event over the past nine years, and is extremely honored to sponsor the 2018 tournament. The tournament has come a long way since its first $800 donation in 2005. Thanks to all the sponsors, volunteers and players, the organization has donated over $100,000 in each of the last 5 years. In fact, in the last 3 years over $429,000 was raised, bringing the total donation to the EAF to over $1MM for the life of the tournament! STS Aviation Group shares the EAF’s values of supporting those in need, and is committed to giving back to our employees, business partners and the community. Whether you are golfing, attending the dinner & auction events, or neither, please consider donating any amount. Every dollar collected goes straight to the EAF and to a great cause. You can donate today by clicking here. We are looking forward to another year at this amazing event with our industry peers and we can’t wait to see everyone in Washington on the course!